The battle for open standards needs help, so get involved. In conclusion, I feel that this meeting and others like it, should not become vicarious battlegrounds for tech giants to slug out battles that they can’t or won’t conduct elsewhere – at the end of the day, it should be about delivering the best technology-enabled services possible at the best price point. In brief we are seeing a “battle for open standards” that will “shape the future of the UK tech industry” in which we are seeing “UK Government betrayal” which has led to a “proprietary lobby triumph” . The ugly secrets of “how Microsoft fought true open standards” have been revealed and now every man must do his duty and “get involved“! Who said standards were boring? I recently watched a DVD of the film “Oh! 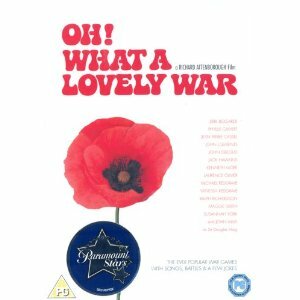 What a Lovely War“, a film I saw when I was young which chronicles the various madnesses of the First World War. The scene depicting how the generals were happy to send soldiers to their destruction as they were convinced of the rightness of their cause came to mind when I read the blog posts which were suggested that success in the open standards battle would help the minor players (the open source community, which would be depicted by Belgium in an updated version of the film) against the evil empire (no prizes for guessing, but ignore the humanist comments of its former general). But what of the foot soldiers? In the standards battle, these will be the users of IT services, but have little interest in the arcane decisions being made in Whitehall, in obscure European cities and by those plotting to overthrow the existing order. Will they (we) see peace in our time (to use a saying from a later war) or might winning the open standards battle fail to deliver enhanced services for users? I’ve tried to make the point that the militaristic language which is being used by the blogging community is inappropriate in discussions about government policies on open standards. Rather than continuing with this metaphor, the issue I feel needs to be addressed is “What are the consequences of a new policy means for users of government IT services?” The current discussions are centred on the benefits of providing a level for developers, especially open source developers. But there is little discussions on what this will mean for end users, apart from an implied suggestion that open source solutions based on royalty-free open standards will inevitably provide a better environment for users of the services. We have, for example, see how a well-intentioned government policy, such as the one which stated that All government Web sites must be WCAG compliant could lead to undesirable side-effects if it were to be implemented in a simplistic fashion. In this case, despite an Accessibility Summit meeting in which Web accessibility advocates, researchers and researchers agreed the need to avoid simplistic checkbox approaches, the government announced a policy which, if it had been implemented, could have resulted in government web sites which had trivial WCAG errors would be withdrawn from service. In Web accessibility arena, alternative approaches led to the development of the BS 8878 Web Accessibility Code of Practice. This provides a much more realistic approach to achieving the laudable goal of enhancing access to people with disabilities, which takes contextual issues into account and focuses on best practices for the various processes in developing accessible Web sites and avoids the risk that forcing Web sites to be WCAG compliant would lead to non-conformant Web sites being removed from services or potentially valuable Web sites not being deployed due to difficulties in achieving WCAG conformance. The MP3 format is based on patented compression algorithms. Would a government policy which mandated patent-free standards ban use of the MP3 format? If so, since poplar audio players such as iPods, support the MP3 format but not necessarily patent-free alternatives, how will podcasts be made available for popular consumers products such as the iPod and iPhone. The RSS (Really Simple Syndication/RDF Site Summary format is not an open standard since it is not owned by a trusted neutral standards body. Will RSS no longer be usable on Government Web sites and, if so, what benefits does this provide? The Microsoft Office format is now an ISO Standard. Does this mean that MS Office will be an acceptable format. If so, what are the current ‘battles’ about? If not, what principles are the battles about? Although I’m not in favour of the discussions about policies on Government use of open standards being based on military metaphors, I do agree with the call to get involved. 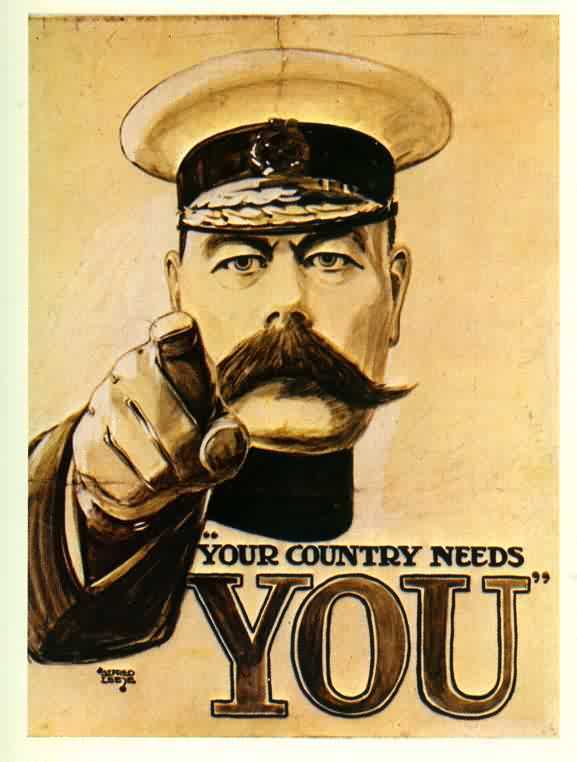 Your country does need you, if you have an interest in the role open standards can play in the development of IT services in the public sector. In particular if you have an interest in the implications on user communities on the deployment of policies on open standards I’d encourage you to participate in the consultation. This entry was posted on 8 May 2012 at 10:00 am	and is filed under standards. You can follow any responses to this entry through the RSS 2.0 feed. You can leave a response, or trackback from your own site.